If you have been following my blog for a while, you know that I became a huge fan of this author when I read his first book Moonlight Falls back in May. Since that time, I have read his subsequent novels, The Remains, The Innocent and Godchild, and all have been exceptional. Before leaving to go on vacation, Mr. Zandri honored me by entrusting me to read and review a galley of his latest novel that will be out today. At the request of the author, a PDF galley edition, was sent, at no cost to me, for my honest opinion. Synopsis: Ava “Spike” Harrison might be a beautiful, classically schooled woman, but the single, 38 year old construction business owner is also plenty ballsy. Her late father taught her long ago how to handle the rough boys in an industry that’s almost entirely filled with hard-boiled men on the make. But now, with “the business dad built” from the ground up failing due to an unusual series of job-site injuries and just plain bad luck, Spike has no choice but to take on one last project she believes can pull the fledgling commercial firm from the depths of almost certain bankruptcy and family shame: The Renovation of Albany PS 20. My Thoughts and Opinion: Another hole in one!!! Zandri, once again, proves that he is a master story teller. With this book, he lures you onto a Tower of Terror ride and buckles you in before you have the ability to get off. Brilliant!!! This is what I call a “transport” book, whereas I was so engrossed in the plot that I was unaware of my surroundings. Because of his superb writing style, both the characters and settings, I was able to create vivid visualizations in my mind. Gifted!! Ava “Spike” Harrison, the main character, was charismatic who fought on principals but also had to deal with emotions of loss (vague due to not wanting to include spoilers). Throughout the book she “wondered how a headstrong girl like me” would get into different situations, which made her a likeable character that had this reader rooting for her and hoping that there will be sequels. A nonstop read of twists and turns until the very last word!!!! And just when you think you are nearing the end of the ride, Mr Zandri catapults the reader to the top of the tower at break neck speed. Not wanting to include spoilers, all I could picture in my mind when this happened, was a theater full of people and everyone at the same time sits back in their seats and gasps, which is exactly what I did when I read it!! Zandri delivers another page turning, can’t put down novel!!!!! Fantastic!!!! “Vincent Zandri is the No. 1 Internationally Bestselling Kindle E-Book author of THE REMAINS, THE INNOCENT, GODCHILD and MOONLIGHT FALLS. 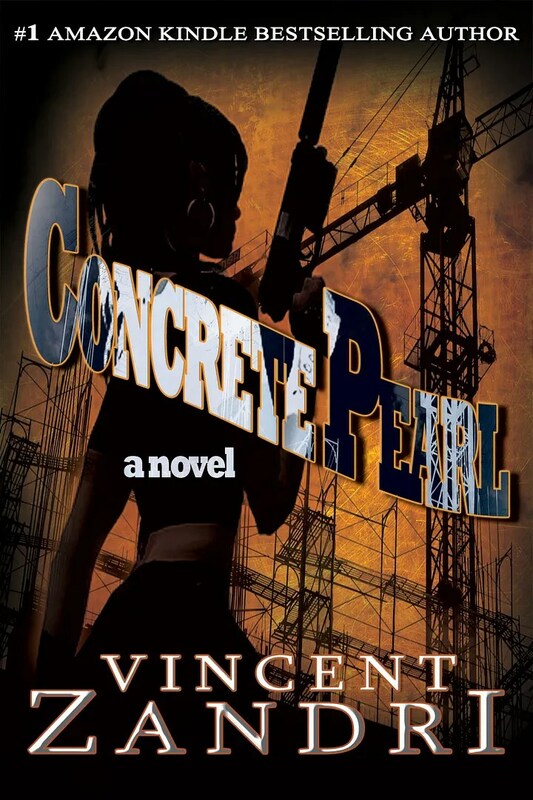 CONCRETE PEARL is his fifth thriller. 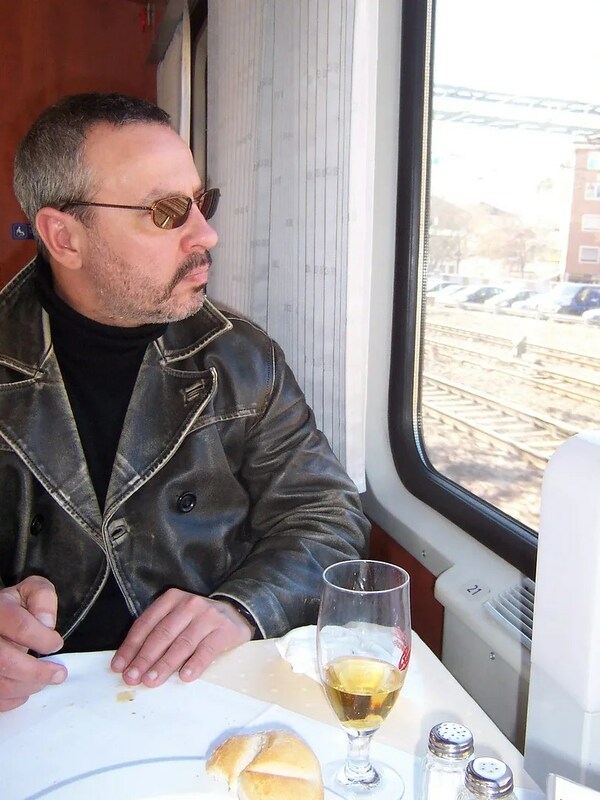 A freelance photojournalist and foreign correspondent, he divides his time between New York and Florence, Italy. Thanks so much Cheryl…Proud to have you as my first reviewer!!!! Oh my a new one, I need to catch up, I have the Innocent on Kindle, I have only read 2 so far which included his digital short Pathological, you must read that one also Cheryl. Great stuff, he keeps knocking them out of the park, exciting. Congrats, Cheryl, on the exclusive. Zandri's books that I have read have been good and this one sounds like a good one as well. I wish his much success with it! @ Gigi as a long time Zandri fan if it's a great place to start. Great post Cheryl.